Protecting our loved ones – pets & phones! Posted April 19th, 2013 by a_russell & filed under Uncategorized. April 9th was my father’s birthday – he may have turned one year older, but he acts one year younger. That same day, my team and I got back around 1:30 a.m. from a two-week bodacious trip to Texas. On the trip home I told my team that next time I wanted to bring Tinkerbell, my dog that I rescued from an animal shelter in Arkansas. 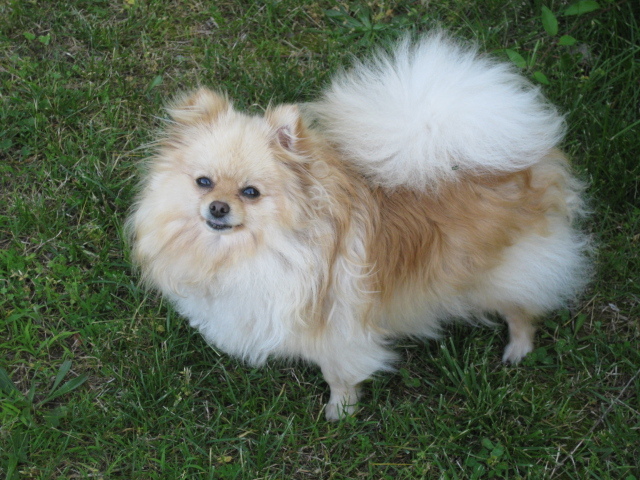 One day, my mother, sister and I went to pick up one Pomeranian and instead we found hundreds of dogs in rabbit cages off the ground – they had never touched the ground or been played with. Being the animal lover I am, we ended up going home with four dogs instead of one! Tinkerbell has been part of the family ever since. The next day, as we were unloading from the trip, I noticed Tinkerbell was nowhere to be found. So, my team and I split up to look for her. What we found broke my heart – something had attacked her and she is now in heaven with all the other wonderful animals we have lost. My point is, no matter what you do or how hard you try to protect something, anything can happen. Some things are just meant to be, so we remember the good times – like when we dropped our phones or spilled water on them and the laughs that happened in those moments.